GLA:D™ Canada is an 8-week education and exercise program for individuals with knee and/or hip osteoarthritis or symptoms of osteoarthritis. The program was developed in Denmark, where it has shown to reduce the progression of pain symptoms by 27%, reduce use of painkillers, time on sick leave, and improve physical activity levels at 1 year post program. The program is composed of 3 parts: 1) 2-3 education sessions, 2) 12 sessions of tailored neuromuscular exercises, and 3) a national database for quality monitoring (your clinic will have access to its own participant’s data). This program is unique because it teaches participants correct movement patterns that can be applied to their everyday activities. 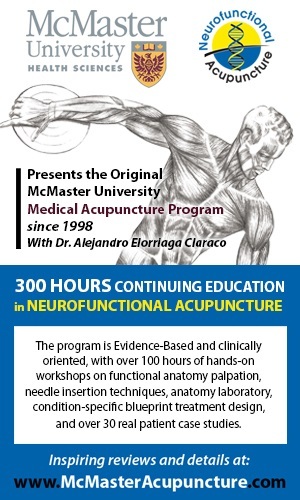 Certified GLA:D™ Canada trainers (a researcher in the field of arthritis and a highly experienced practicing physiotherapist) will be instructing this 1.5 day course. The GLA:D™ Canada training sessions are 1.5 day course that will prepare you to provide the program to your clients. The first day will be a combination of lecture and training on how to deliver the neuromuscular exercise training the second day will be lecture and information on the implementation process. This 1.5 day course is valued at $480. Please visit our website https://gladcanada.ca/ for more information and read our “Getting Started with GLA:D” document to get a better idea of how this program could be right for your clinic.